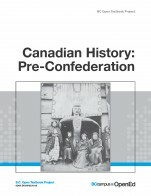 Canadian History: Pre-Confederation by John Douglas Belshaw, Thompson Rivers University is licensed under a Creative Commons Attribution 4.0 International License, except where otherwise noted. Preface: As a curriculum consultant with the Ministry of Education, participant in the Historical Thinking Project (under the leadership of Dr. Peter Seixas), Social Studies Department Head in a secondary school, and President of the B.C. Social Studies Teacher’s Association, I have been working to create the conditions to move teachers in the secondary system away from text book reliance and into the realm of the utilization and mixing multiple secondary and primary sources. I have been very active with the BCTF TeachBC portal in posting multiple sources. My doctoral dissertation is aiming to develop historical “mechanisms of meaning” based on the work of Gadamer, Ricoeur, and others. This being said, Dr. Belshaw’s text was less a traditional textbook than an incredibly engaging, eminently readable, and richly formatted resource. I am hesitant to even use the term “textbook” because of the traditional connotations. I have been very active with school districts, the Ministry, teachers, and publishers to come up with text resources that allow for and support change and multiple warranted interpretations in historical work. It was hard not just sit back and really enjoy the Dr. Belshaw’s writing than to actually focus on review. Not only would I use this if I were teaching pre-confederation Canada in a 1st year post-secondary course, I would be very interested in using this as a resource for my teachers (and I would love this see this cross district). This textbook had a strong methodological background including consistently well-explained significant terminology. It was very successful in interrupting a “grand narrative”. Within the scope of the text, it provided significant directions for diverse and distinct narratives (providing both complementary and conflicting narrative interpretations). The suggested readings were very appropriate. Chapter exercises tend to be rather simplistic; perhaps more suitable for a secondary classroom than a post-secondary classroom. Grade 9s could easily cope with the expectations. I found the treatment of historical issues (especially contentious issues) to be very sensitive, even-handed, and well supported. I found the text to be very open to alteration if evidence could be found that might change interpretations. The provided examples were appropriate, useful, and relevant. Detailed key points/ideas were supported by the text. Just some minor quibbles: In Chapter 6, “feudalism” as a term has itself come under historical revision. The author might consider to be wary of employing the term. What I most appreciate is that the text leaves open the possibilities of revision as new or lost evidence may change accounts and interpretations. The content is well supported by contemporary research and changing interpretations under the regime of opening historical understanding to sources beyond the written; i.e. oral, anthropological, or archaeological sources. The arrangement, while temporally linear, allows for the exclusion or inclusion of new research and interpretations. Very (!!) engaging style for writing; especially for a survey text. I cannot emphasize enough the extent to which I found this Dr. Belshaw’s writing to be very approachable, clear, and richly engaging. I also appreciated the intriguing use of contemporary allusions. There was a faultless congruence between what a chapter sets out to do and what it does. I found the end of chapter questions consistent with chapter content and the questions also encourage thoughtful extensions of the material. In terms of the text mechanics, the sub-headings were very appropriate and very clever in some cases (for example, “Careless and Wrong”). There was a good amount of text break up with graphics and visuals. I did notice an uneven chapter length; this may be a positive or a negative. Undecided. The text is extremely structurally coherent; the chapters are organized in an easy, connected, clear, and creative fashion, allowing for diverse reading “paths”. No significant interface issues; all images loaded and links worked. No significant grammatical errors with the exception of the use of contractions. In both upper division history courses and secondary courses, I do teach traditional formal essay writing and I rely on my text sources to model this. The text is not culturally insensitive or offensive in any way. It should make use of examples that are inclusive of a variety of races, ethnicity, and backgrounds. While the use of the term “race” in this question is problematic (given its 19th century construction), the text itself makes a very laudable, well supported, and sensitive attempt to be culturally relevant without being creative with historical exegesis. Where issues may arise in historical interpretations, there might be a consideration for providing more sources. This is a wonderful textbook and this is coming from a teacher that tends to avoid use of singular textbooks. I enjoyed it tremendously as a book in itself. I would be wary of even calling it a “text book”. This text would be suitable for first or second year history courses. As I said above, however, I would be very inclined to also employ this in a grade nine class with appropriate and active teacher engagement. This text is an extremely detailed and comprehensive survey text. Of course, due to the nature of trying to address such an enormous expanse of time and subjects, the text cannot possibly cover all topics/events/people in depth. This may result, in sections of the text, in a "mentioning" phenomenon, wherein complex ideas or events are simplified and mentioned as a small part of a large historical narrative. The inclusion of primary source documents, and even audio resources, is a creative and effective way to help readers connect to events and people and the text does this well. 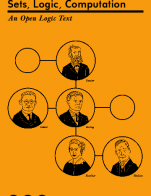 The textbook encourages deep thinking around history, especially in its initial chapters. The discussion of historical sources, how we think about them, and how we know what we now about history, is particularly strong. The historian’s perspective on the problematic nature of specific course/textbook end points – the “inevitability” narrative discussed in the introduction to the book is particularly thoughtful and sensitive. No errors in content were observed. Contentious issues were addressed appropriately, and perspectives, when taken to explain an event or attitude, were outlined. As textbook addressing historical events that occurred over 150 years ago, the relevance and longevity of the text are strong. The writing style, suggested exercises, and tone of the textbook are both appealing and likely to be appropriate over a long period of time. The writing style of the text is succinct, appropriately leveled for first or second year university students, and pleasurable to read. 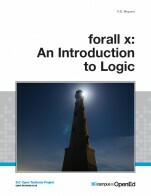 Complex events are explained clearly and as a result the text is easy to read and understand. The extensive glossary at the end of each chapter and at the end of the text are comprehensive and appropriately support the text and students' learning. 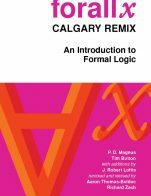 The chapters follow a set structure and are therefore logical and easy to follow. Chapter length, and particularly chapter introduction length, varied considerably throughout the text. The short answer questions at the end of each chapter are well linked to the objectives of the chapter, and the content of each chapter. The suggested extension activities enrich the content of the chapter and are both creative and valuable. The unit structure makes sense and is easy to follow. Because the units are ordered chronologically, other subjects with some overlapping content could easily take chapters from this textbook and use them elsewhere. As First Nations history is mostly organized into its own separate chapters, a First Nations history course could also easily benefit from the modularity and organization of this textbook. The unit structure of the textbook follows a primarily chronological structure and this makes the textbook logical and simple to navigate through. Hyperlinks to each chapter in the Table of Contents work, although they are not highlighted and so it is not obvious that there are hyperlinks. The text is free of any apparent interface issues. The capitalization of words in the glossary is inconsistent – some words are capitalized and others are not with no apparent explanation. Although European and First Nations histories are often intricately and expertly woven, there are chapters which focus almost exclusively on European history, and the bulk of First Nations content appears in Chapter 2 and Chapter 5. It could be said that this separation of content, particularly seen in Chapter 5, in lieu of integration through all chapters impedes a more developed knowledge of how these histories developed simultaneously and as actions and reactions to one another. At the same time, the content in Chapter 5, as a separate chapter, could be used in other First Nations courses, which presents an advantage to instructors in other courses. In the PDF version of the text, all chapter subheadings are double spaced and have copyright information below them (ie cc-by-sa) except Chapter 4 which is single spaced and has no copyright information. In the Learning Objectives box in the Chapter Introductions, a “Y” with two dots appears before the start of each sentence in the PDF version. The suggested activity in Chapter 6 (Seigniorial Fingerprints) is particularly creative! The suggested activity in Chapter 1 is also excellent. The book gets high marks for its detailed presentation of a long period of Canadian history. The chapter glossaries and helpful, and they are combined in a complete glossary at the end of the book. The sheer scale of the book (over 600 pp.) is inevitable, given the comprehensiveness of the coverage, but the size may be a little intimidating to some students. I found very few errors. "St Patrick's Cathedral" of Montreal on p. 348 is actually a basilica. The picture of "Jonathan Edy" on p. 220 is of his grandson. The presentation of "Pan Indianism" on pp. 49 et passim makes no mention of the fact that many Aboriginal people eagerly engage in some variations of Pan Indianism. In 2016 is is by no means a specifically white phenomenon. This is perhaps a more serious omission than the above two errors. But these are only a few exceptions in the midst of hundreds of well presented facts and concepts. The choice of visual materials and maps is excellent and well balanced. That these can be blown up for closer inspection greatly enhances their value and enables them to be examined more critically. It is hard to predict what will make a history text obsolete in the future. The discussion at the beginning of the text regarding how history is done via archives, etc. may be one of the more enduring parts of the book. Advances in our knowledge of pre-contact cultures may make some sections dealing with this theme obsolete eventually. The technological advances mentioned in the last answer are perhaps state-of-the-art but are likely to be surpassed before long. That said, updates to the text should not be hard to do. The brevity of the chapters will make them easier to revise or even take apart and put back together in other forms. 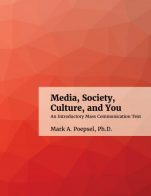 The fair minded attitude to controversial topics and the reluctance of the author to engage in sweeping judgments are great strengths and will greatly add to the book's longevity. No big problems here. The only terminology issue I encountered was regarding he limited way in which "Pan-Indianism" is used, as mentioned earlier. The framework is thematic but generally follows chronology. A few terms such as "collectivities" (p.6) are not in common use and may have a slight flavor of academic jargon. The reading sections are already quite short. Text isn't overly self-referential. Sections could be readily re-arranged, although overall I favor the organization as it is. The approach is largely thematic rather than strictly chronological; as such, the presentation is logical. Where topics are revisited, the reader can easily link to where the topi has already been addressed. These links might be increased as they are very useful. In a few cases the a larger version of an image could not be blown up for closer inspection. The ability to blow up these images is one of the most attractive aspects of the text so all images should be checked out once more before the text is used in a course. In a few instances careful proofing could catch what look more like typos rather than grammatical errors by the author. Overall the text however is very clean. The author obviously has taken great care not give offence. In cases where a historical document uses a term no longer considered acceptable, and the author wishes to reference the name of the original document, he has taken care to acknowledge potentially offending term (e .g, "halfcast [sic]" on p. 282). However, labeling this category "Cultural Relevance" is not entirely correct, since it is much more a case of sensitivity than "relevance." This is an ambitious and well-produced volume overall. The introduction to the economic history of Canada is very welcome. As stated earlier, the sheer size of this book may, unfortunately, be off putting for some students but I support its use enthusiastically. This is an extremely comprehensive textbook. The sheer amount of information is extremely impressive. The glossaries, both those that appear at the end of each chapter and the one at the end of the textbook, are equally thorough and should prove very helpful to students. There is no index for this textbook, though the table of contents is very detailed. There are some gaps, however, particularly with respect to the history of women and gender. Some topics are also not covered in as much depth as I would have liked, like the 1869-70 and 1885 Rebellions and the Numbered Treaties. The content of this book, with one exception, is accurate as far as I can see. The only problem that I noticed was the section on the Sexual Revolution. Many historians of sexuality now argue that there was no real revolution, but instead a series of gradual changes that began in the early 1950s. Further, demographic changes, like the higher age for marriage and more young women living alone, began before the Pill became available. In many ways, the Pill was a symptom, not a cause, of the Revolution .There were also negative consequences as a result of the introduction of the Pill for women, not the least of which was the testing of the Pill in Puerto Rico. However, this is an error that can be easily corrected. I was extremely impressed by how up-to-date the textbook was with respect to content as well as method. It should also prove very simple to update as necessary. The prose is generally very accessible. That said, at times the text seemed quite formal. I would have liked to see more of a conversational tone rather than an authoritative one. There was very little jargon, and what was present was well explained for the most part. My one major concern is that though the concept of "modernity" is one of the themes of the textbook, it is only discussed in detail in one of the later chapters. Perhaps this could be moved to the beginning of the textbook. This textbook is indeed quite consistent in terminology and framework. This text is very modular. Though I have some concerns with the organization of the textbook, it should be relatively simple to rearrange the individual modules into new chapters according to the preferences of each instructor. There is a great deal of flexibility in terms of content as well. I felt like the textbook's most significant weakness was its organizational structure. While I understand that the textbook was intended to be thematic as well as chronological, many of the modules seemed out of place. For example, there is the chapter on the Reform movements from the 1870s to the 1980s. I think this is much too broad a category in general, but the chapter comes before any discussion of the Cold War. Similarly, the chapter "The War Years, 1914-45" deals with the Interwar Years, but the topic of the Depression is not discussed for another two chapters. In addition, I believe that the final three chapters should be broken up into individual modules and placed within the rest of the textbook. For instance, chapter 10, "This is the Modern World," includes some fantastic discussion of youth and leisure that I feel should be integrated into the larger narrative. The same goes for chapter 12, "Canada at the End of History," which is mostly a discussion of historical method that I think would enhance earlier parts of the textbook. Finally, I am uncomfortable with the placement of Indigenous history into (mostly) a single chapter at the end of the textbook rather than woven into the fabric of the textbook itself. Though I am sure the author did not intend such, it makes Indigenous history seem like an add-on to the larger Canadian narrative. I had absolutely zero problems with the interface, images, charts, etc... It would be a nice bonus if the videos could be directly linked from the PDF document. I know of other books that have gone this route, and I think it would make students more likely to actually watch the videos. I did not see any grammatical errors in this text. This book was, for the most part, extremely inclusive of a variety of individuals from different races, ethnic groups, and backgrounds. The most significant exception to this being chapter 11, as I mentioned previously. However, I did feel like this textbook privileged political, economic, and military history over social and domestic history. There was very little consideration of what the lives of ordinary people would have been like. While I think there are some major problems with the organization and flow, I still think that this is a solid textbook. Though I still think the content from chapters 10 and 12 should be integrated into the textbook, I believe that they are the highlights of the text. I especially appreciated the discussion of digital history as well as the discussion of history in the 21st century. I also loved many of the exercises, and look forward to using them in my class. I will definitely assign the textbook the next time that I teach Post-Confederation history as background reading, in addition to the journal articles I usually assign each week. I would definitely want to edit the organization of the textbook before hand, though I found the process to be quite confusing when I attempted it previously. Thank you for the opportunity to review this textbook.